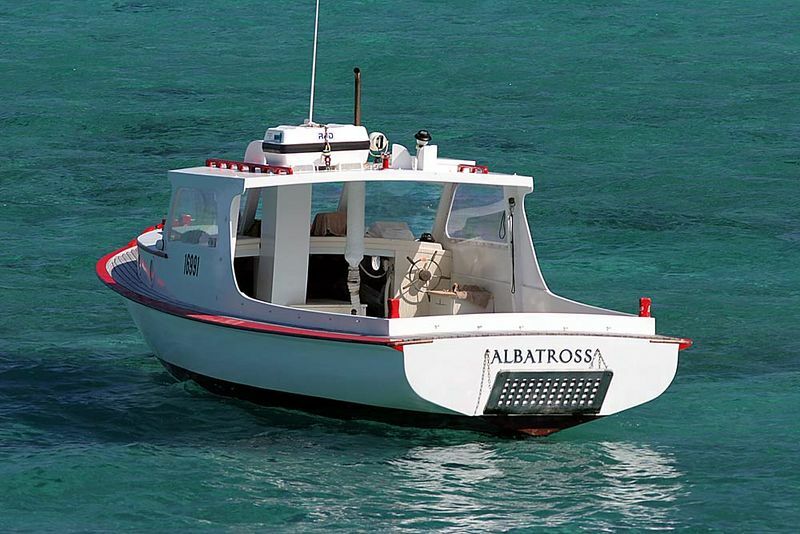 "Albatross" built 1936. Originally a tender for the Sandringham flying-boat services to Lord Howe Island. Owned by Ed and Anne ("Pixie") Rourke and inherited from her father. Cabin structure added in later years. A beautiful craft which must be preserved for ever. Moored on the Lagoon outside Pinetrees Resort.